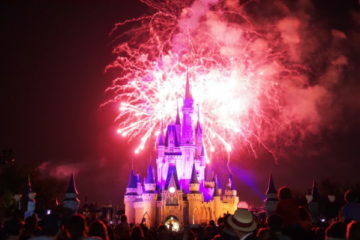 Disney World features three dinner shows that include all-you-can-eat meals and lively musical and dramatic performances. Since the cost of dining at Disney World is generally quite high, it should be no surprise that dinner shows are also on the expensive side. However, Disney definitely knows entertainment, and one of these shows can be a very amusing way to end a day at the resort. This long-running Western-themed show is a vaudevillian mixture of musical numbers and slapstick comedy. The comedy is broad and ridiculous, the songs are boisterous, and the show in general is brimming with positive energy, laughs, and fun. The generically “Western” dinner options are a bit unexceptional, but there is enough variety – and definitely enough quantity – that most people should be able to find something they like. 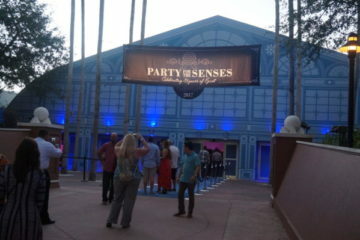 Disney Dinner Shows provide fun food and entertainment. 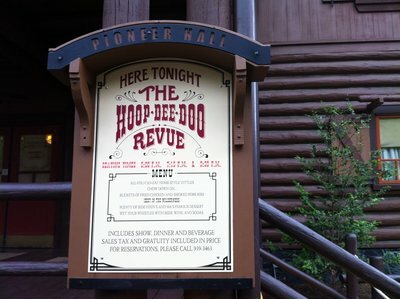 Unlike the other two dinner shows, Hoop-Dee-Doo is indoors and air-conditioned, which can be a distinct advantage in the warmer months. 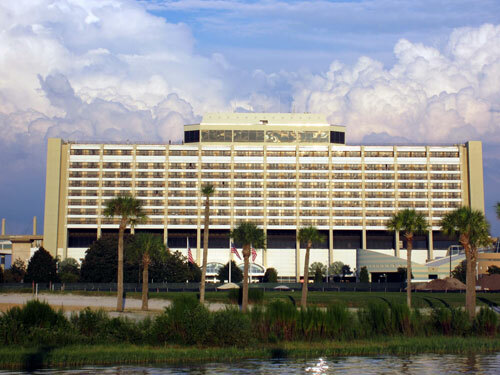 However, its location in the Fort Wilderness campground can be challenging to reach, and guest should be sure to allow themselves plenty of time to find and get to the location. This is the only Walt Disney World dinner show that features iconic Disney characters with whom guests can interact. The show is fun and family-friendly, but the element of character interaction means that things can be a bit rowdy as every kid and every parent tries to get time with their favorite star. Even so, kids tend to really enjoy the music, dancing, rope tricks, and other lively features of this show. For the parents, there is an unlimited supple of beer and wine. Nice. 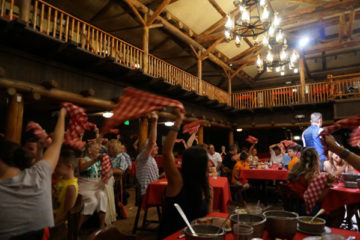 As with the Hoop-Dee-Doo Musical Revue, the food at Mickey’s Backyard Barbeque is nothing to write home about. The buffet-style dinner consists of typical barbeque fare such as hot dogs, baked beans, and barbeque ribs. You certainly won’t go home hungry, but you are unlikely to be blown away – it’s fun but definitely isn’t haute cuisine. 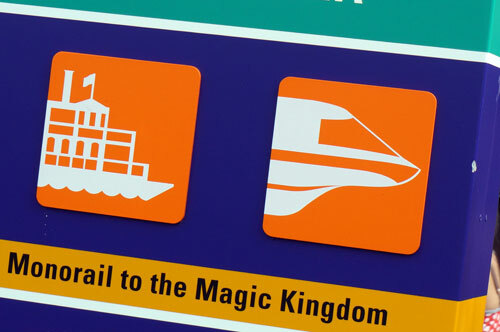 This show also takes place at Fort Wilderness, so allow plenty of time for transportation. However, guests are seated outside under a pavilion and should come prepared for heat and insects. The work “backyard” is in the title for a reason. The Spirit of Aloha show takes place at the Polynesian Resort. It is the more expensive of the dinner show options, with entertainment that is more likely to appeal to adults or to those who are indifferent to slapstick comedy. The storyline is a bit on the cheesy side, but the show features authentic Polynesian dancing that should impress and entertain anyone who hasn’t attended an authentic Polynesian luau. From hula to fire dancing, there is plenty to see. The Spirit Of Aloha show also takes place outside. 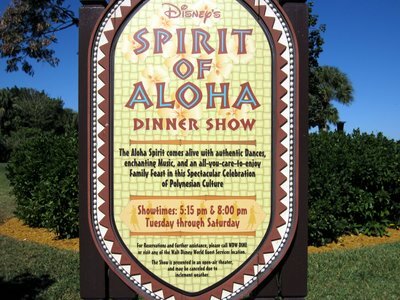 Most guests agree that the quality of the food at the Spirit of Aloha doesn’t live up to the quality of the show. 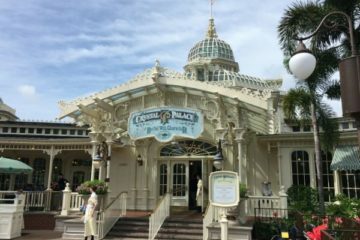 However, the menu does have more variety than Mickey’s Backyard Barbeque, and unlike the other two, features Polynesian-inspired options that guests are not so likely to eat at home or elsewhere. The Polynesian Resort is on the monorail line, and as a result this show is the easiest of the three to reach. Like Mickey’s Backyard Barbeque, the show is sheltered but outdoors, and heat can be a factor. What is your favorite Disney dinner show, and why?